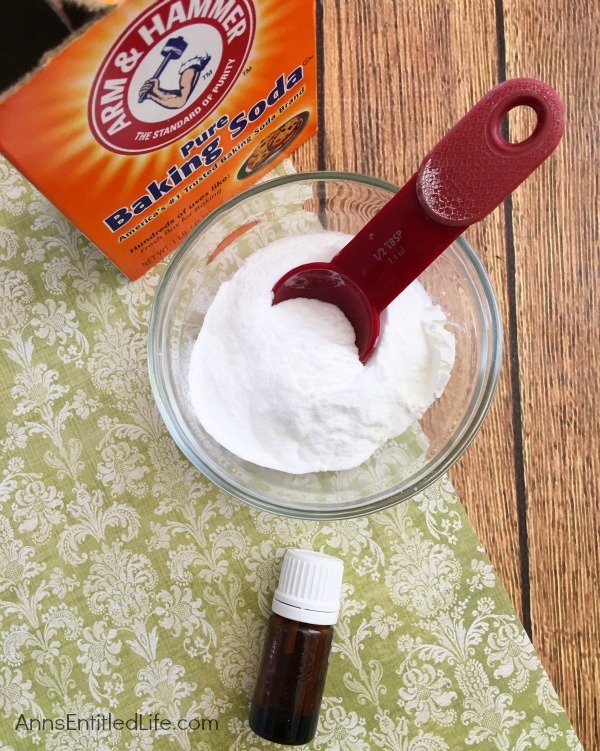 Making your own dry shampoo is simple and inexpensive. 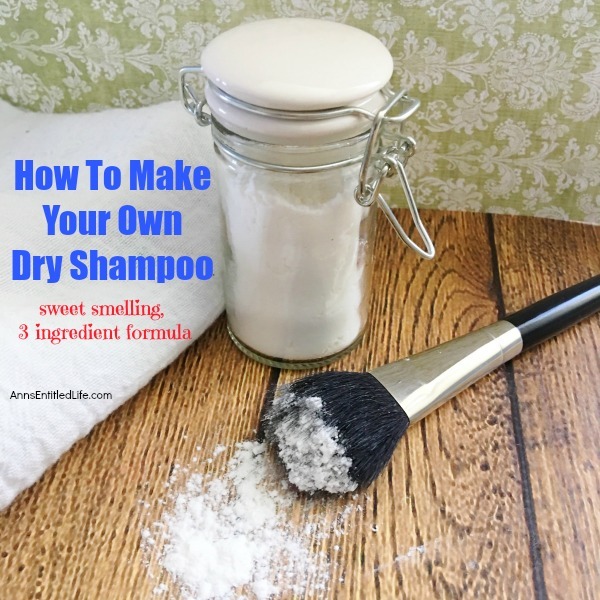 Save yourself big dollars over salon and drug store brands, and know exactly what is in your dry shampoo by learning how to make your own sweet smelling dry shampoo with this simple three ingredient formula. Dry shampoos have been around for hundreds of years (probably longer). 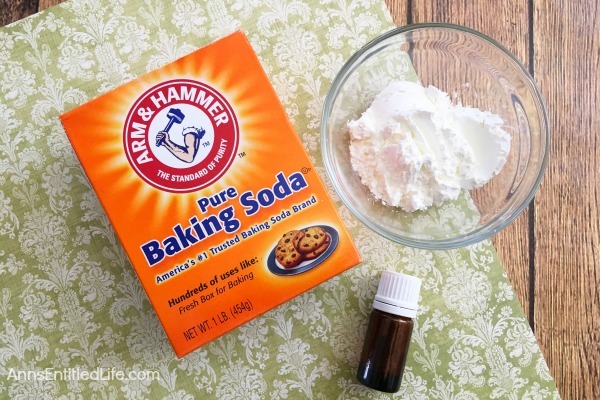 People used oats, flour, corn starch and other naturally absorbing materials to freshen limp or greasy hair in days of old. I recall reading a beauty book about an 1800s treatment that rubbed oats into the hair, twisted a towel over the hair for an hour to allow the oats to work their magic, and then advised the user to take the toweled hair outside and comb the oats out (allowing the chickens or mice to eat the used oats. 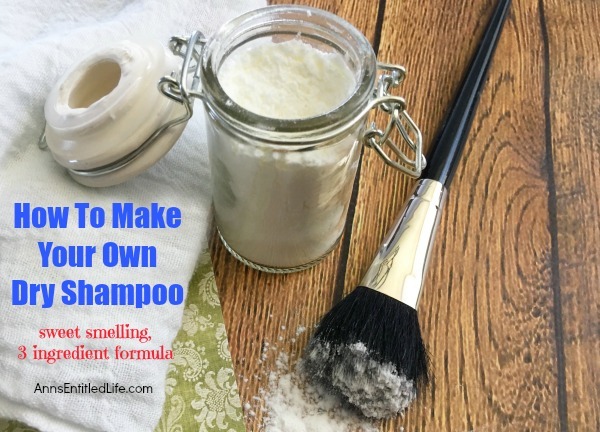 ummm and ewww) Today, when we think of a dry shampoo we think of it in terms of a talc or soda base that absorbs excess dirt and grease in your hair without using water. Ever have a day where you’d just like to freshen up your hair without taking the time to wash and dry your hair? A dry shampoo may be the answer when you are on a time crunch. Dry shampoo can make flat hair, greasy hair, after-gym sweaty hair look great in no time flat! 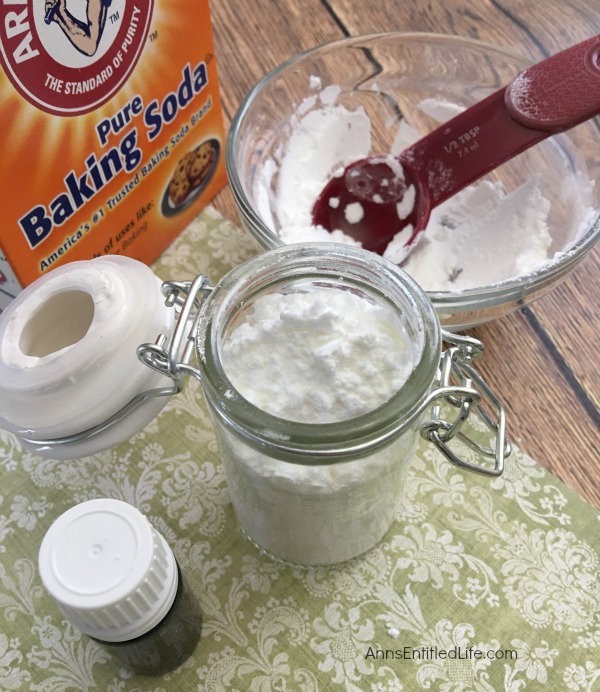 So make your own dry shampoo to have for after the gym, for when you wake up late and just can’t spare the time before work to wash and style your hair, or simply to prolong your beautiful blow-out! 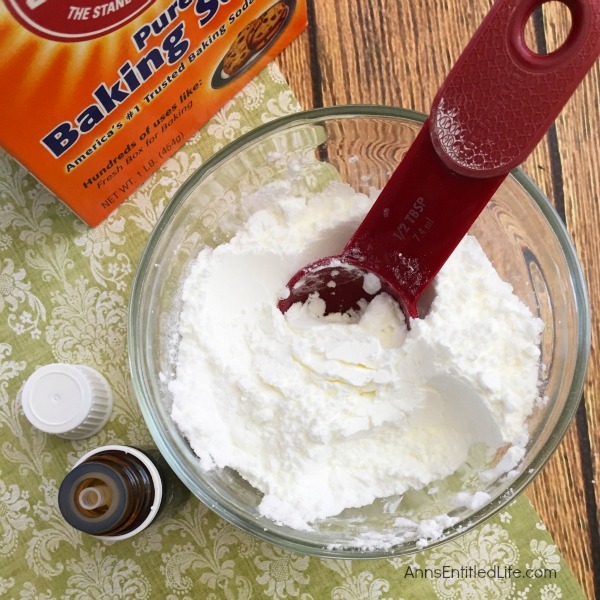 • In a small bowl combine your baking soda and cornstarch; mix well. • Add to your dry ingredients 5 drops of Therapeutic Grade Lavender Essential Oil. Mix again using your fingertips to be certain your essential oil is well blended into your dry ingredients. • Some people apply a dry shampoo several days after washing their hair when the hair starts to look a bit greasy or oily. Pat-apply dry shampoo with a large brush. 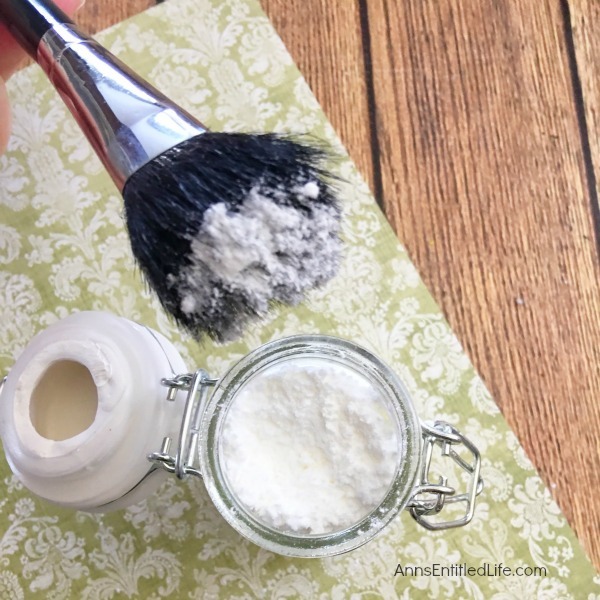 You want to apply lightly (to avoid that awesome white powder look). Apply dry shampoo to your hairline. Now part your hair in sections, and continue to pat-apply. Apply to your hair’s under layers and underside hairline too, especially if you wear your hair up. Shake or brush the dry shampoo out when you are finished with your application. You want to apply your dry shampoo wherever your hair looks dirty or greasy. • Other people, especially those with fine hair, swear that applying a dry shampoo immediately after blow drying or flat ironing and/or curling is the best way to extend a hair wash and blowout. If you are applying to a fresh blowout or style, go super light on the application, and you may want to reconsider shaking out excess so as not to muss those freshly styled tresses. Whichever way you use a dry shampoo, there is no denying they can be a real hair-saver in a time crunch! Note: None of this is meant as medical advice. I am not a doctor, and do not play one on the internet. Please consult a physician if you have any questions about using essential oils or making your own dry shampoo so your doctor can better explain to you the benefits, possible side effects, and any warnings about essential oils and making your own dry shampoo. I like the idea of adding essential oils to the mix, it didn’t occur to me that dry shampoo should have a nice scent, not just take care of the greasy look. My daughter and I have really dark brown hair and we’ve been using a mix of half cocoa powder, half cornstarch. I normally wash my hair every evening, so when we go to my husband’s hunting cabin (shack!) I used to be greasy looking by day two and stuck with wearing a baseball cap. Dry shampoo is such a brilliant idea, I just wish I had known about it sooner! My stylist used dry shampoo on my yesterday to add height-volume to my hair. It worked!! I’m with you, Stephanie… wish I had started using is sooner. 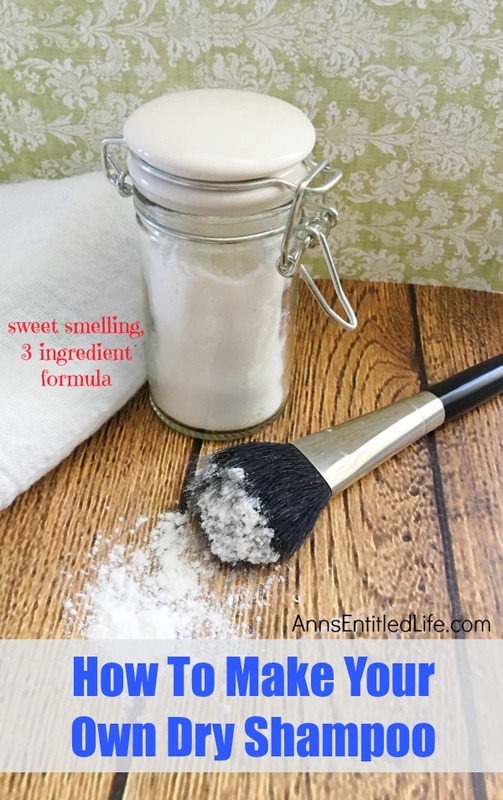 I love dry shampoo, and this little “recipe” seems perfect! Lavender oil is not irritating to the skin, and can actually help clear up eczema flare-ups (which I have). Thanks for sharing, and I won’t tell if you won’t that we skip shampoos! Lol! My daughter loves using dry shampoo! Thanks for partying with us at Merry Monday! Love this recipe! I’ve been looking for a nice simple one! Thank you! Do you only use dry shampoo or do you wash it with “regular” shampoo at some point during the week? I was just talking with a friend who ONLY does dry shampoo & she swears by it…I’m curious to try it.